Last year (beginning at the D23 Expo in CA), the Disney Store released an awesome collection of Pixar themed merch, rightfully called the "Disney/Pixar Collection." 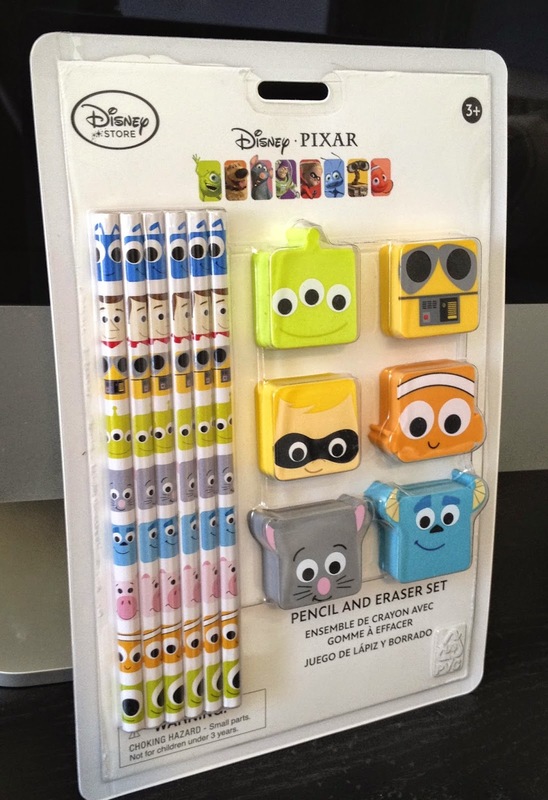 Each product in this collection featured very stylized, colorful cube faces of your favorite Pixar characters. The line-up included A mug set, a second mug set, a note card set, a notebook and an iPhone case. 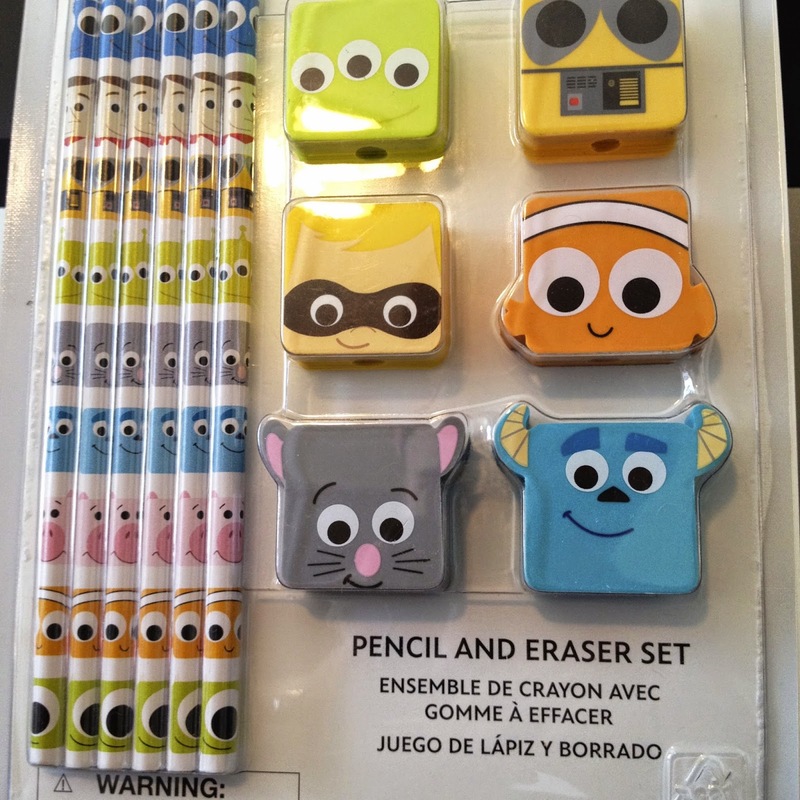 Then recently, the Disney Store released new additional products in this collection such as a Sticky Note Set and this fantastic Pencil and Eraser Set! This set is pretty adorable. I can picture these sticking out of a mug on my future desk in my future Pixar themed office/man cave. A big thanks to my in-laws for this great birthday gift! 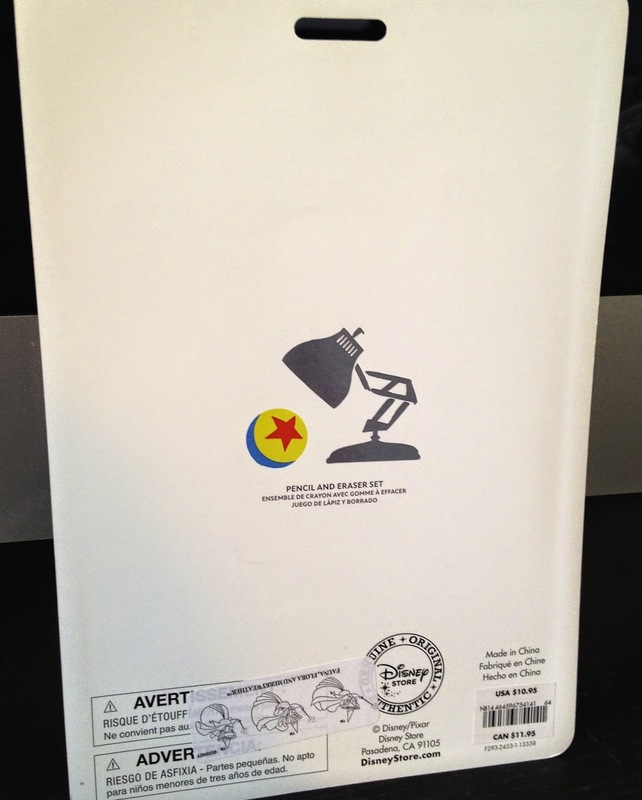 Thanks for stopping by and be sure to check back daily as more items from my Pixar collection are added.